Seven years ago Jeremy and I had just celebrated our store's Grand Opening (March 2010) but we were already 6 months into our business, a year into our marriage, and nearly ready to start our family! How time flies!! Choosing the Fox Valley as the place to build our lives and extend our roots has been the best choice we made in the Fall of 2009. Milestones in the running specialty industry are accumulating just as rapidly as they are in the Schapiro Family. As we welcome warmer days, we want to share with you some of what we have in store for 2017. This year is off to a fast start and doesn't show signs of slowing. We will continue our Pub Run/Walks on Tuesday evenings where you can have fun and meet new people but there is a *refresh* coming...so stay tuned. 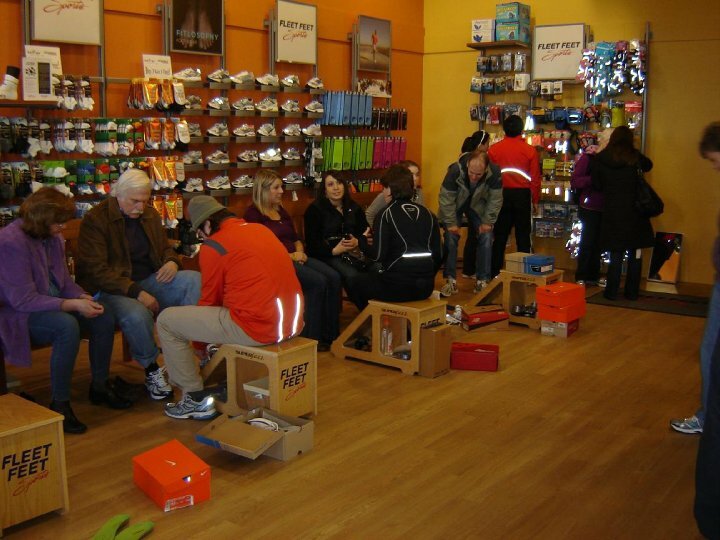 We have already introduced a number of new shoe, apparel, and accessory vendors and products, some of which are EXCLUSIVE to Fleet Feet Sports (more below)--many where we are leading the channel in finding and bringing innovation products to you. We've also been freshening up our programs and advancing our tools to help support your needs and your busy lives. A sneak peek and a little more detail about what lies ahead is below. Take the time to read this email! We rarely send out so much information, but we didn't want you to miss it all. (Click here to see the latest Fleet Feet e-newsletter). You can see we are going to be busy; exactly what we love! Busy means we are doing more to build our community. We are getting more people outside working out, getting healthy and trying new things. We love seeing more people pushing themselves, setting goals, and working hard to achieve them.